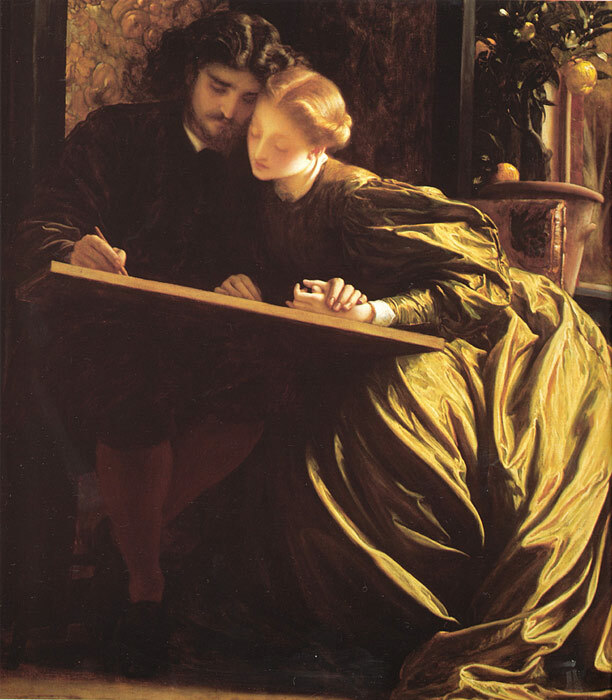 The Painter's Honeymoon placed Leighton in the Pre-Raphaelite milieu and therefore caused him to be labeled a dangerous artistic revolutionary by the Royal Academy. Leighton's affinities with the Pre-Raphaelites appear dearly in The Painter's Honeymoon , in which the soft greens of the woman's dress and the rich golden setting are consciously artistic. SPECIAL NOTE : The painter will make the reproduction as close to the original oil painting as possible. If you want your painting to alter from this likeness, please email us and " The Painter's Honeymoon, c.1864 " will be reproduced according to your special requirements.